An eccentric aristocrat is savagely murdered in his Italian palazzo at the end of WW2. Twenty years later, this unsolved crime touches the life of Alba, a hedonistic girl who lives on a houseboat in Sixties Chelsea. Between these two distinctive times runs a thread of love, decadence and betrayal that takes Alba from the country-houses of the shires to the olive groves of the Amalfi Coast, rich with the scent of figs, the drama of wartime and the lingering decay of tragedy. The past unfolds revealing a secret web of partisans and Nazis, peasants and counts and in the centre of it all, an alluring woman of mystery: her mother. Alba investigates not only a murder but the forbidden truth. What she finds in the past is heartrending, but it’s the gateway to her own future. In order to appeal to the USA I changed my locations from Latin America to Europe and left the sagas in exchange for mysteries. It was refreshing for me to try something different and the new direction paid off as America liked it, buying Last Voyage of The Valentina and the next one, The Gypsy Madonna, which is set in France. While I always knew the skeleton of my novels, the mysteries took a great deal more planning. In order for surprises to take place in the second half, I had to plot the first half very carefully. When I finished the first draught I gave it to my husband to read. He came back shaking his head, telling me that I had revealed all the ten revelations in one brief conversation. I had to go back and work out exactly who would reveal what, when. It was hard for me to be disciplined as I’d always written according to where my imagination led me, not following a meticulously plotted map. However, my husband was right, the second draught had a lot more suspense! The idea for the book was inspired by my aunt Naomi. I went to dinner at her house and we ended up looking at her old photo albums of her London life in the 1960s. She had lived on a house boat on Cheyne Walk, which was still there. It was a converted Motor Torpedo Boat that had seen action in the war. I immediately seized upon the idea for my novel, sending my captain out into the Mediterranean, off the coast of Italy, where he spends some time ashore and falls in love with a local girl. The boat ends up on Cheyne Walk in the 1960s where his daughter discovers a secret scroll and sets out on a quest to discover the truth about her dead mother. I later used the same invented town of Incantellaria, 20 years on, in my ninth novel,: The Italian Matchmaker, although you don’t have to have read this one to enjoy the other. They both stand on their own. 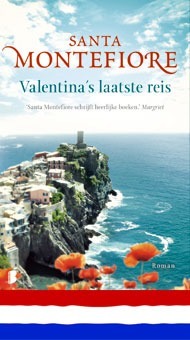 Last Voyage of The Valentina is set on the Amalfi coast, in 1960s London, and in Hampshire, where I grew up. I always try to write about different places, for my enjoyment as much as for my reader. I also write about places I know. This is important in order to create a sense of place through smell, sound and feeling. I need to know what the birds sound like, what types they are, what trees and flowers grow and what the light looks like first thing in the morning and last thing at night. I don’t think I would be happy writing about somewhere I had never been. “She’s enjoying the attentions of that young man again,” said Viv, standing on the deck of her houseboat. Although it was a balmy spring evening, she pulled her tasselled shawl about her shoulders and took a long drag of her cigarette. “Not spying again, darling!” said Fitz with a wry smile. “One can’t help noticing the comings and goings of that girl’s lovers.” Viv narrowed her hooded eyes and inhaled through dilated nostrils. “Anyone would think you were jealous,” Fitz commented, grimacing as he took a sip of cheap French wine. In all the years he had been Viv’s friend and agent she had never once bought a bottle of good wine. “I’m a writer. It’s my business to be curious about people. Alba’s engaging. She’s a very selfish creature, but one can’t help being drawn to her. The ubiquitous moth to the flame. Though, in my case, not a moth at all but a rather beautifully dressed butterfly.” She wandered across the deck and draped herself over a chair, spreading her blue and pink kaftan about her like silken wings. “Still, I enjoy her life. It’ll do for a book one day, when we’re no longer friends. I think Alba’s like that. She enjoys people, then moves on. In our case, it shall be I who moves on. By then, the dramas of her life will no longer entertain me and, besides, I’ll have bored of the Thames, too. My old bones will ache from the damp, and the creaking and bumping will keep me up at night. Then I shall buy a small château in France and retire to obscurity, fame having become a bore, too.” She sucked in her cheeks and grinned at Fitz. But Fitz was no longer listening, although it was his job to. 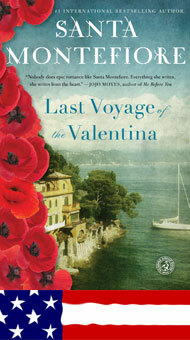 Buy the ‘Last Voyage of The Valentina’ from CD WOW!